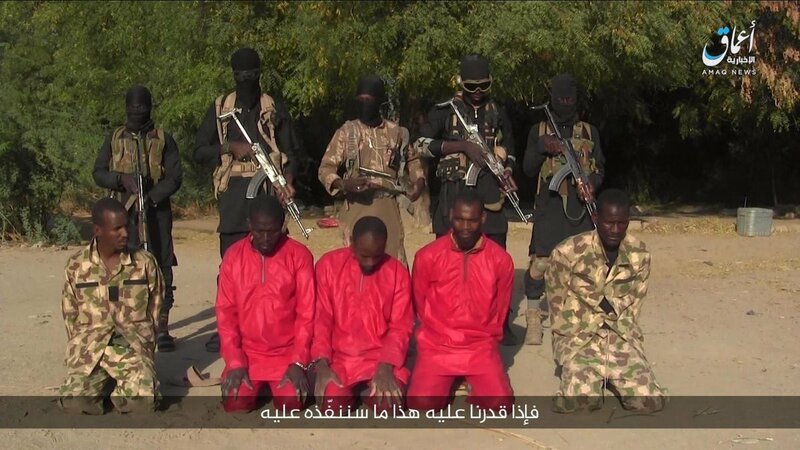 Boko Haram terrorist execute five Nigerian soldier in live video in Borno State. 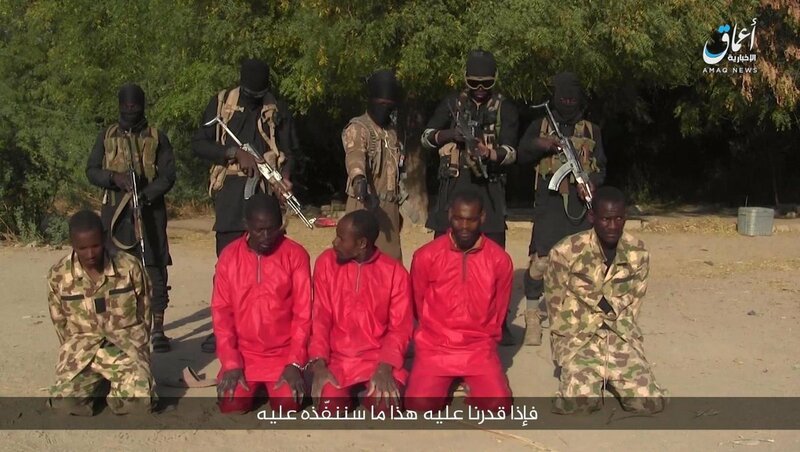 BREAKING: Boko Haram just published a video of the execution of the Nigerian soldiers in Borno state. 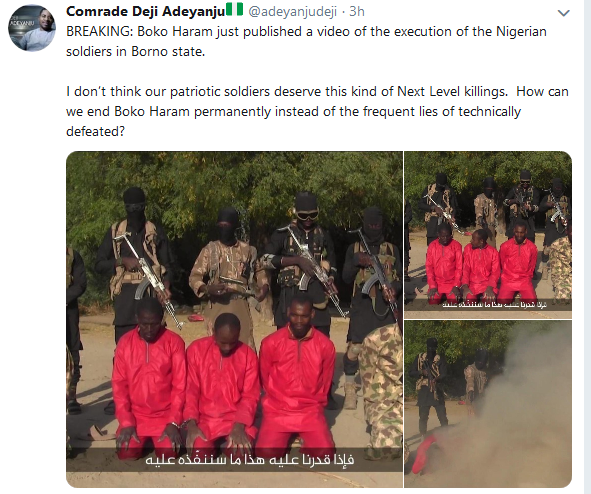 I don’t think our patriotic soldiers deserve this kind of Next Level killings. How can we end Boko Haram permanently instead of the frequent lies of technically defeated?